Welcome to the Mid-Atlantic Vietnamese Golf Association (MAVGA) website. MAVGA was established in 2007 by a group of Vietnamese friends who have a passion for golf. Our purpose is to bring the game to communities in VA, MD & DC areas. 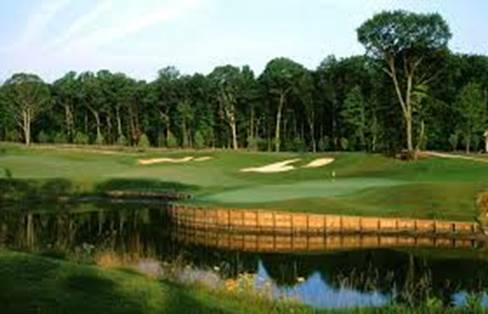 In 2013, MAVGA became an official Recreational Golf club member of the Virginia State Golfer Association (VSGA). The objective of MAVGA is to promote interest in the game of golf by encouraging, organizing, supporting, sponsoring and administering golfing activities among Vietnamese golfers living in the Mid-Atlantic States (NY, PA, MD, DC, VA, NC). We encourage friendly competition with other Vietnamese regional golf associations throughout the United States and Canada. Come share our passion for golf and build strong friendships with the Mid Atlantic Vietnamese communities. Payment must be paid before or by April 24, 2019, to guarantee your reservation. Tournament Format: Players will be divided into 3 flights based on their Handicap Indices - no longer a separate flight for women. Course Handicap (C.H.) will be used to determine the winners of each group. Maximum Handicap Indices are 36 for male participants and 40 for female participants. Round 2: Gross score from the hardest to the easiest hole on the scorecard. Scorecards must have a total round score for each player. Incomplete and incorrect total round scores (e.g. BLANK or incorrectly added) will be disqualified. Tournament Rules: Local and USGA golf rules are applied.